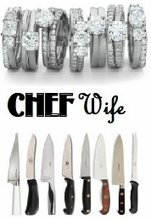 Desperate Chefs' Wives: Wife Power! 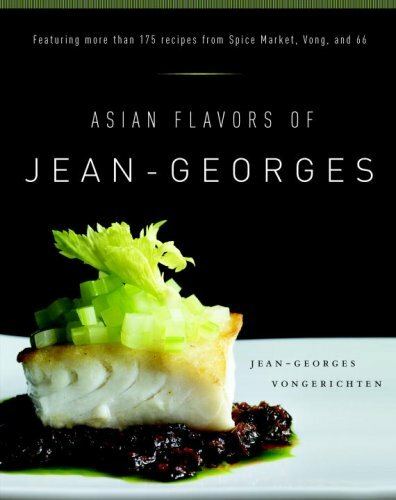 As many of you know or don't know, Jean-Georges gave out his latest cookbooks, "Asian Flavors of Jean-Georges" out to all of his chefs. This holiday gesture was sweet to say the least, but the best part of all: the dedication. Now, THAT is what I like to see. A great chef thanking his WIFE. Duh, we need more credit like that. Yes, the chefs have got all the talent when it comes to their profession. But who deals with their whiny selves when they just worked 9 doubles straight and pulled of a 28 million covers in the first seating alone? That's right: the WIVES. So go us. Not only that, but he thanked his staff as well. 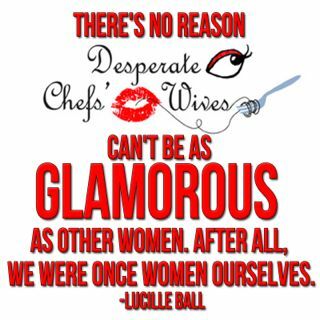 People can say what they want, but as far as being a chefswife I feel like I'm employee of JG and I don't mind. Does he make all of his employees pay ~ $2/day for a disgusting staff meal (even if they don't eat it), or is that just at JG/Nougatine? If he really wants to thank his people, he could start by offering nutritious, tasty meals for free. Anonymous, I'm sorry that don't like the family meal at JG/Nougatine. But yes, that is an exception because you work in a hotel and must eat the cafeteria food. What, you don't like the orange and yellow DOMINADE? The other JG restaurants make their own family meal. To answer your question, NO. Jean-Georges does not have to provide you with free, nutritious meals. He is not the public school system, and you are not in the second grade. 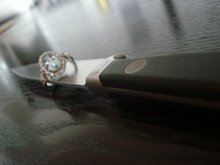 It may not be up to your standards, and it may not be fair, and I'm sorry you are unhappy. DCW, are you going to try any of the recipes in the book? I've done the Coconut Stick Rice so far. Not difficult for this amateur at all. I was surprised that the Foie Gras with Ginger and Mango wasn't in there. (Vong). I am totally going to try some of the recipes in the book, after all that is one of my resolutions: to cook more. However, I will only cook on one condition. Erik must get me the ingredients. I can see myself now on a verge of a panic attack trying to locate shaoxing wine in A & P.
I have a hard time believing that JG would charge money for family meal. Many years ago my chefhubby worked at Vong here and actually made family meal and I don't ever remember him mentioning having to pay for it! That sounds absurd! By the way, we have all the other JG cookbooks and I loooove to make the vinagerettes out of it for salads, drizzling on veggies, etc. Everything in there is simple and quick(right up my alley). By the way, his ginger ale recipe is awesome. I'm almost positive that JG charges for the meals, but it is taken out of the paycheck. My cousin used to live in Chicago and LOVED eating at Vong. Now she lives in Cincinnati. Bummer. how sweet to see JG giving his wife so much credit! he mentions her and her wonderful cooking on his blog a lot as well!